Even if you aren’t a fan of Nicolas Cage, you have to admit there is something about his movies that is utterly watchable. Whether it’s a big budget winner or a B roll stinker, he’s all Cage all the time. Admittedly, not everything can be Leaving Las Vegas, but that steady performance and classic freakouts are what makes the films. I would argue that what are viewed as terrible movies are some of the most fun. When you press play on a Nic Cage film, you must go in with a certain expectation: none. You watch a Nicolas Cage film to lose yourself in nonsense. Perhaps see some explosions, a car chase, a robbery. Sometimes you just want to eat some popcorn and have fun. And you always, always want to see those dreamy eyes. This is your “movie of the week” pick. Cage plays a wealthy businessman with a shady past who made his way up the ladder and went legit. But when his daughter is kidnapped, he must round up his former crew and resort to his old ways. His search for justice leads him down a path of revenge, betrayal and long-buried secrets. Danny Glover is here playing the character you love best: the grizzled cop trying to talk sense into everyone. And I just can’t resist a movie with Peter Stormare (Fargo). This is your “you’re going to be surprised by how great this is” pick. I could watch this movie a hundred times. If you like history and a lot of action, you’ll love it, too. 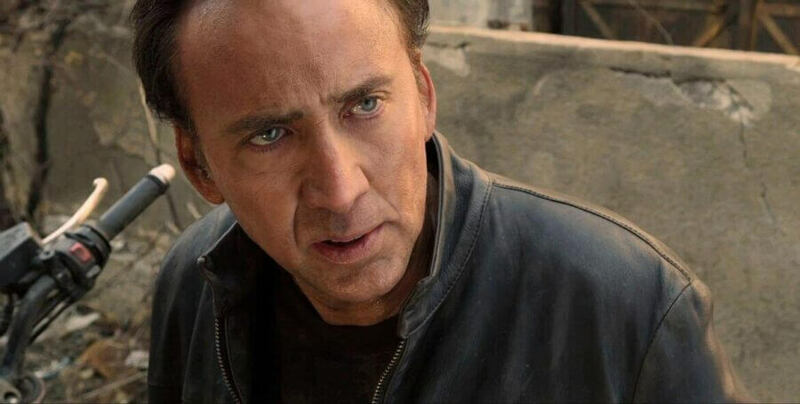 Cage is Ben Gates, a historian and code-breaker who has been searching his entire life for a treasure said to be left by the Founding Fathers. When he finds a clue that links the treasure to the Declaration of Independence, he has to race to get to the document ahead of the bad guys. The film is produced by Jerry Bruckheimer and filled with great actors including Harvey Keitel, Jon Voight, and Sean Bean. It’s fun from beginning to end. This is your “Lifetime movie” pick. It stars Gina Gershon and Nicolas Cage as married doctors with the perfect house and family. Yearning for more in her life, Angela (Gina Gershon) befriends mysterious Katie, a woman who quickly becomes a major part of the household. The flawless merging of lives begins to darken, however, when Angela begins to suspect Katie has something she is hiding. This was a film I was expecting to fast forward through, but I have to admit it kept my complete attention from beginning to end. It’s a delicious guilty pleasure. This is your “humorous heist” movie. Nicolas Cage and Elijah Wood have terrific chemistry as two nobody evidence cops who make extra money selling stolen Civil Service Exams to other officers on the side. When they learn of a bank vault in the back of a convenience store, they decide to rob it—they don’t find out what’s actually in the vault until it’s too late to turn back. Even with its flaws, this is a solid film with aces performances. Wood and Cage make a great team and it’s a watch worth your time. This is the “some of you are really going to hate this” pick. This dark crime thriller stars Nicolas Cage and Willem Dafoe as ex-cons hired to kidnap a baby for a large ransom. When the job goes wrong they go on the run from the mob and the cops, vowing to stay out of prison at all costs. This film has a Natural Born Killers vibe. It’s a brutal, pulp comedy with campy gore. If you make it past the first few minutes of Willem Dafoe going nuts, stick with it. That means this film is for you. The stylish performances from Cage and Dafoe are worth it. What are you some of your favorite Nicholas Cage movies? Are they streaming on Netflix?